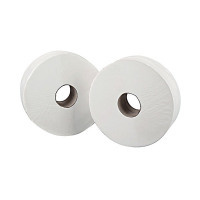 Ideal for busy, high traffic washrooms where space is limited, this 2Work Mini Jumbo Toilet Roll is 200 metres long, meaning it requires less frequent replacing. The highly absorbent 2-ply paper is economical and 85% recycled for a more environmentally friendly solution. Designed to be used in conjunction with the 2Work Mini Jumbo Toilet Roll Dispenser, which hygienically encloses the roll to prevent contamination. 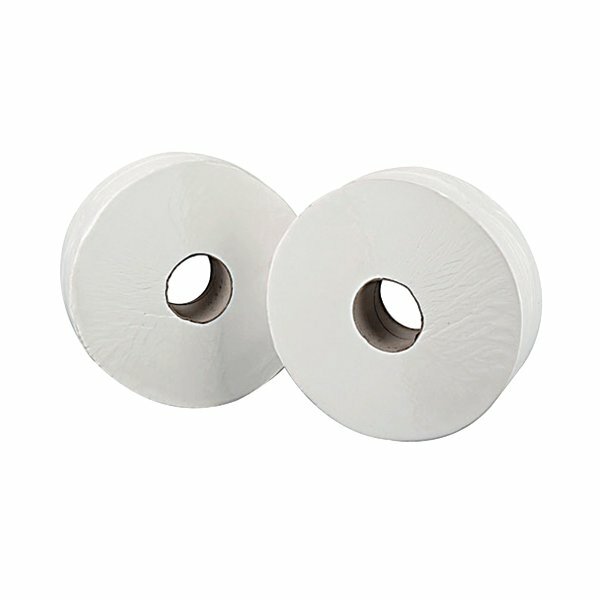 This pack contains 12 white rolls with 60mm cores.